We are pleased to present for you a selection of villas for sale in El Madroñal. All of the villas listed here are of the highest quality. As soon as you see the beautiful location, the high quality finishes and the tropical, landscaped gardens you will know you have found your new home in the sun. 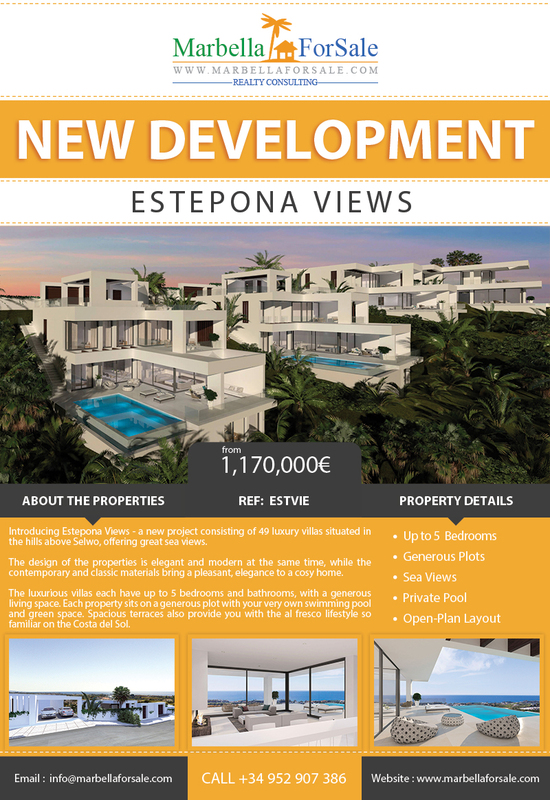 Introducing Estepona Views – a new project consisting of 49 luxury villas situated in the hills above Selwo, offering great sea views. The luxurious villas each have up to 5 bedrooms and bathrooms, with a generous living space. Each property sits on a generous plot with your very own swimming pool and green space. Spacious terraces also provide you with the al fresco lifestyle so familiar on the Costa del Sol. 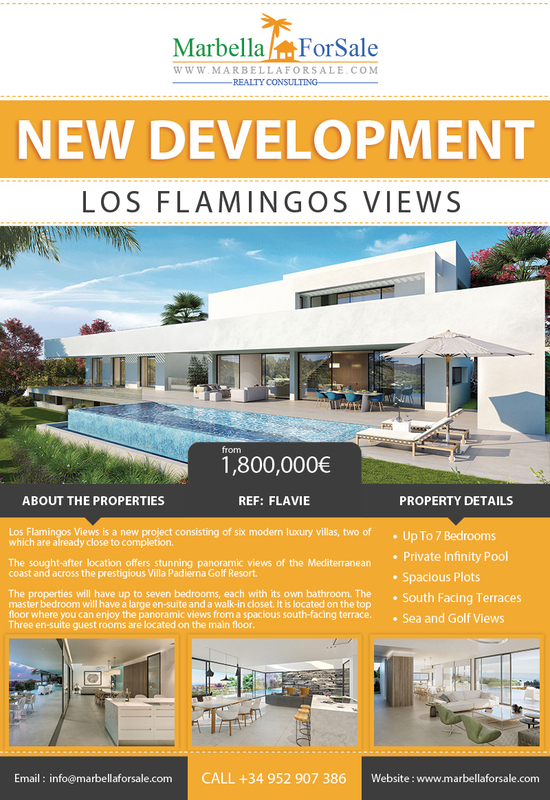 Flamingos Villas is a new project consisting of seven luxury, contemporary villas with great sea views! Each of the villas has been designed to be south-facing, with large windows to maximise natural light creating a bright and warm interior. Royale Villas is a new development consisting of 21 luxury properties, located in Calahonda, between Mijas and Marbella. 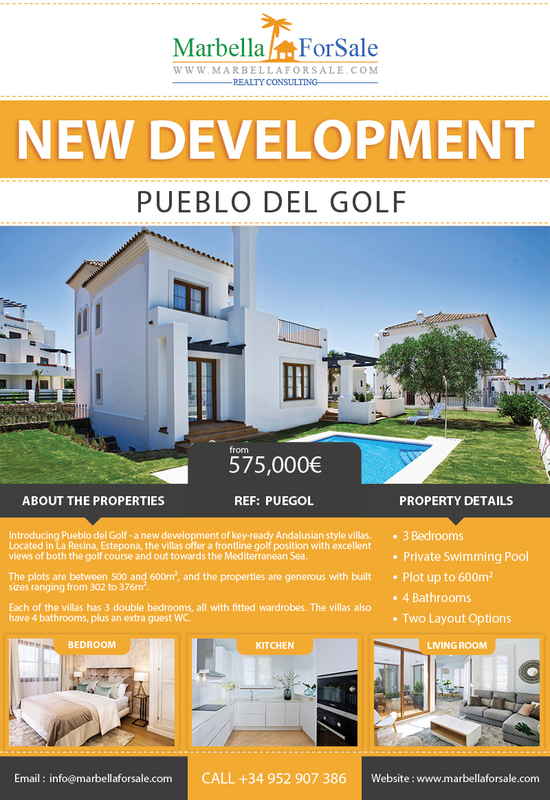 The location is close to golf courses and is also within easy walking distance of the protected dunes of Cabopino.